Return to our Home Page These are not your ordinary coffee cups. They are actually the size of soup bowls! 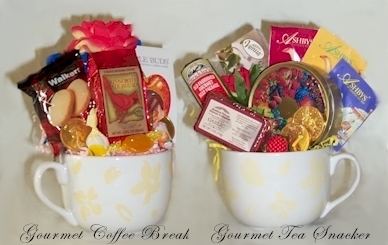 We've crammed them so full of gourmet goodies that they overflow the cup! Click on the price to add the item to your cart.